Wisconsin Youth Harmony Festival – Join us for an action-packed day of fun and harmony! We invite you to join singers just like you, to enjoy an action packed day of fun, celebrating harmony and fellowship. Those high school quartets, in the barbershop and treble barbershop categories, must score either a level I or II at one of the Wisconsin Solo Ensemble Festivals to qualify to participate in the Wisconsin Youth Harmony Festival. This means you will be with and compete against the best quartets in Wisconsin. 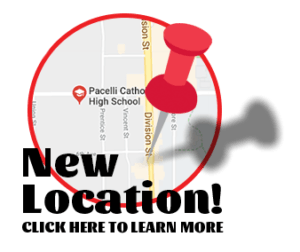 The next festival will be happening on May 18th, 2019 at Pacelli High School in Stevens Point, Wisconsin. 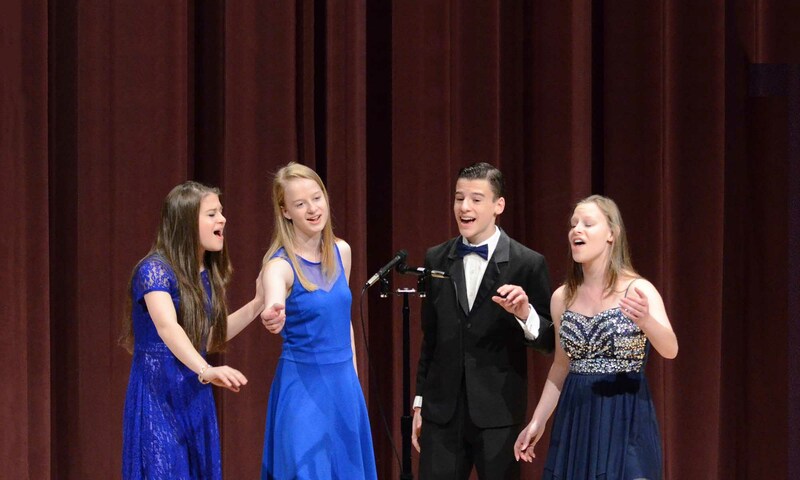 Students have the opportunity to learn more about barbershop singing and compete in a contest to determine the best high school barbershop and treble quartet in the state. The WYHF begins in the morning with students participating in educational sessions. Now patterned after Harmony University classes, participants learn more about vocal production and the art of singing barbershop harmony. In the afternoon, the quartets perform on stage in front of experienced judges and over 200 enthusiastic fans. Judges from Harmony, Inc. are scheduled to join offical judges from the Barbershop Harmony Society. Trophies and plaques are given to the top three barbershop and treble quartets and cash prizes of $100, $200, and $300 are awarded to their schools. (See a listing of past winners) All participants receive a commemorative medal. The Schmitt Brothers Traveling Trophy goes to the school of the 1st Place quartets and is returned the following year to be exchanged for a permanent version to remain with the school. All participants receive a commemorative medal. Once the winners are named and trophies are awarded, each quartet will receive positive encouraging evaluations from judges to help improve future performance. Of course, no day of barbershop singing is complete without singing tags… lots and lots of tags!